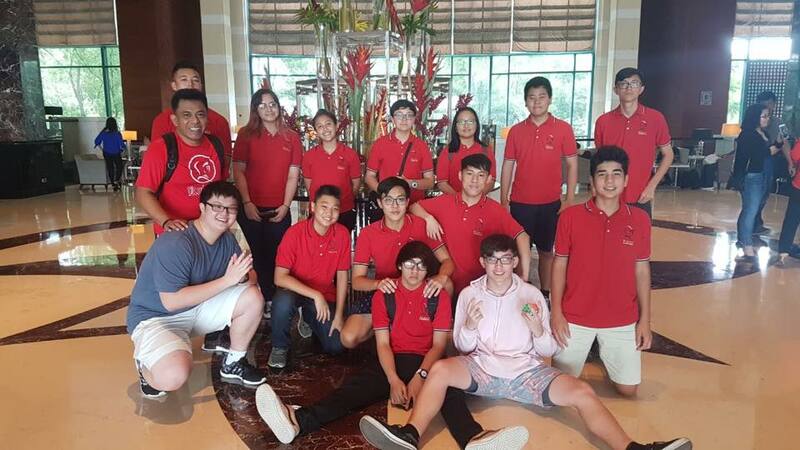 Fourteen St. John’s orchestra and glee club students had the opportunity to visit Cebu, Philippines last July 15-23, 2018 to participate in the Miss Saigon School Edition. In collaboration with Blessed Trinity Achiever’s Academy and Broadway Cebu, the production was performed entirely by talented students, aged 14-18. The production premiered Friday, July 20 to Sunday, July 22 at the Rudolf Rahmann Cultural Center, University of San Carlos South Campus. Despite the tension and pressure of learning difficult music score and the time restraint of practices, the students were able to put in a commendable performance. This international performance gave the students opportunities to immerse themselves with the Filipino and Cebuano culture, of Cebuano musicianship and musicians, and to meet like-minded peers. Not only did they actively participate in the Miss Saigon performance and tour around Cebu, they also provided humanitarian assistance by donating 50 bags of school supplies to students in Pasil, Cebu who were affected by a fire outbreak that destroyed their homes.